Austin Moretz has developed a practice which provides an effective and efficient service for the resolution of his client’s legal needs. His practice demonstrates the importance of keeping the client informed and in control while timely accomplishing each of the client’s goals. Austin is a Florida and Georgia licensed civil trial lawyer whose practice encompasses casualty defense, construction defect litigation, workers’ compensation defense, professional malpractice litigation, real estate litigation, and a variety of first-party and third-party insurance issues. Through work and educational experiences, Austin has developed a dedicated work ethic and genuine desire to serve as an effective advocate for his clients. 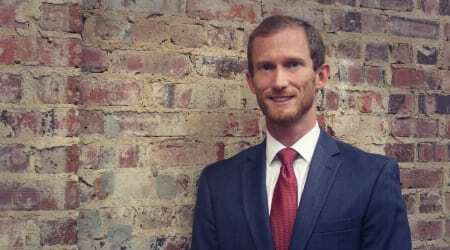 Austin has achieved positive results in dozens of cases throughout Florida and Georgia and has developed a unique familiarity with the law and its application in the two states. His precise analysis and detailed litigation strategies have resulted in dismissals, summary judgments, and positive settlements on behalf of his clients which have included individual insureds, contractors, medical providers, insurance companies, and a variety of businesses and professionals. Austin is active in the Florida and Georgia legal communities and enjoys serving as a member of organizations including the Pensacola American Inn of Court, the Escambia-Santa Rosa County Bar Association, and the General Practice & Trial Law and Tort & Insurance Law Sections of the State Bar of Georgia. During law school, Austin participated in moot court, served on two legal journals, and was a member of the UF Law Oil Spill Working Group. He also served as a board member to the Public Interest Environmental Conference and was awarded the Fall 2010 Book Award for the UF Conservation Clinic. Austin has been rated by Martindale-Hubbell as an AV Preeminent attorney. This rating signifies that a large number of his peers rank him at the highest level of professional excellence for his legal knowledge, communication skills and ethical standards. Originally from Tifton, Georgia, Austin moved to the Pensacola Bay area in November of 2011 with his wife who is a teacher in Santa Rosa County.